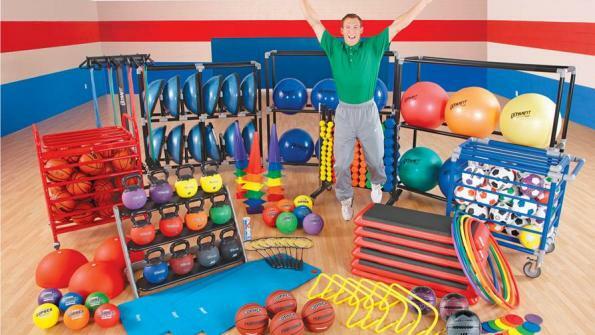 Gopher, an athletic and physical education equipment supplier in business since 1947, has been awarded a multi-year Athletic & P.E. Equipment contract with U.S. Communities Government Purchasing Alliance. The contract starts October 1. 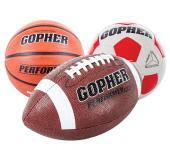 Gopher, an athletic and physical education equipment supplier in business since 1947, has been awarded a multi-year Athletic & P.E. Equipment contract with U.S. Communities Government Purchasing Alliance. The contract starts October 1. The Gopher contract was awarded after a competitive solicitation and evaluation process. The lead public agency, Harford County Public Schools in Maryland, completed the solicitation and evaluation. “Gopher was selected in a competitive solicitation process based on their proposal, breadth of product offering and total value for public agencies and educational institutions,” says Jeff LaPorta, Supervisor of Purchasing for Harford County Public Schools. U.S. Communities is a national government purchasing cooperative. It provides government procurement resources and solutions to local and state government agencies, school districts (K-12), higher education institutions and non-profit organizations. “The contract provides our best overall pricing and lets U.S. Communities participants streamline the purchasing process. Participants also have access to our unique and extensive product assortment, superior customer service, and fast shipping,” says Taber Sawatzky, national sales manager at Gopher. Go here to register for the webinar. For more information, visit www.gophersport.com or call 1-855-257-9200.